My husband is a huge fan of short ribs and it seems whenever we’re out for a fancy dinner, that’s what he gets. I treated myself this Christmas and bought a dutch oven. I’ve been wanting one for a couple months and finally Kohls had a great sale that I couldn’t pass up. So far, I’m loving it and can’t wait to cook more using it. These short ribs are amazing! They are fall off the bone delicious. I know whenever I want to make a special meal for my husband, this is what I’m going to make. The polenta makes a nice bed for the short ribs to rest on and I loved the first bite of short rib, polenta and sauce. YUM! Preheat oven to 350 degrees. Season the ribs with salt and pepper and then drege in the flour. Set aside while you heat the olive oil in a large dutch oven. Once the oil is hot, brown the ribs on all sides, approximately 45 seconds per side. Remove the ribs and set aside to rest. Reduce the heat to medium, add the onions, carrots and shallots to the dutch oven and cook for 2 minutes. Add the wine and scrape the bottom of the pan to release the cooked on pieces of veggies and meat. Bring to a boil and cook for 2 minutes. Add the broth and then season with salt and fresh ground pepper. Add the browned ribs to the liquid. They should be almost submerged, if not, add additional broth so they are almost covered. Add in the rosemary sprigs. Put the lid on the pan and place in the preheated oven. Cook for 2 hours and then reduce the heat to 325 and cook for an additional 30 to 45 minutes. The ribs should be fork-tender and just about ready to fall off the bone. Remove the pan and allow to sit covered for at least 20 minutes before serving. Skim any fat off the top of the broth before serving. In a medium pot, bring 4 1/2 cups water to a boil. Add the cornmeal in a thin stream, whisking continously to avoid clumps. I need to get better at this since our polenta was a little lumpy…it was still tasty! Reduce the heat to low and simmer for 15 minutes. Season with salt and extra tablespoons of water as needed. When polenta is cooked, stir in the butter and cheese. Season with additional salt if needed. 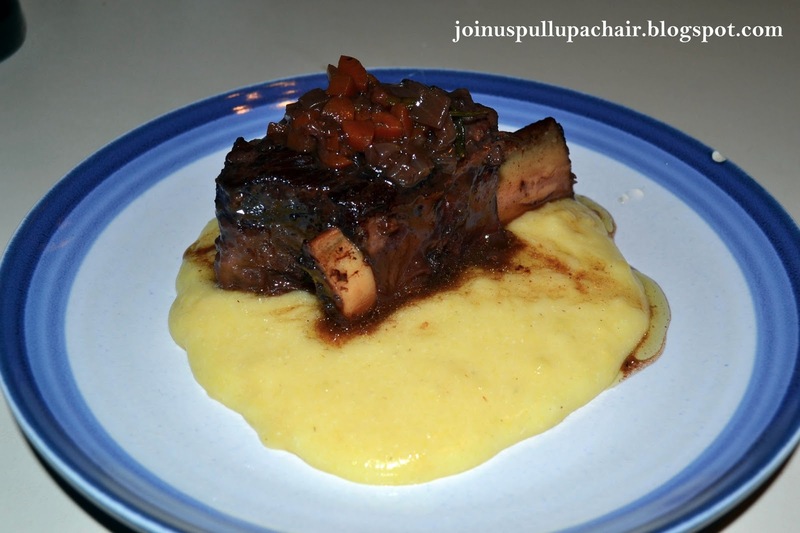 Love short ribs and I love Polenta – this looks so good! 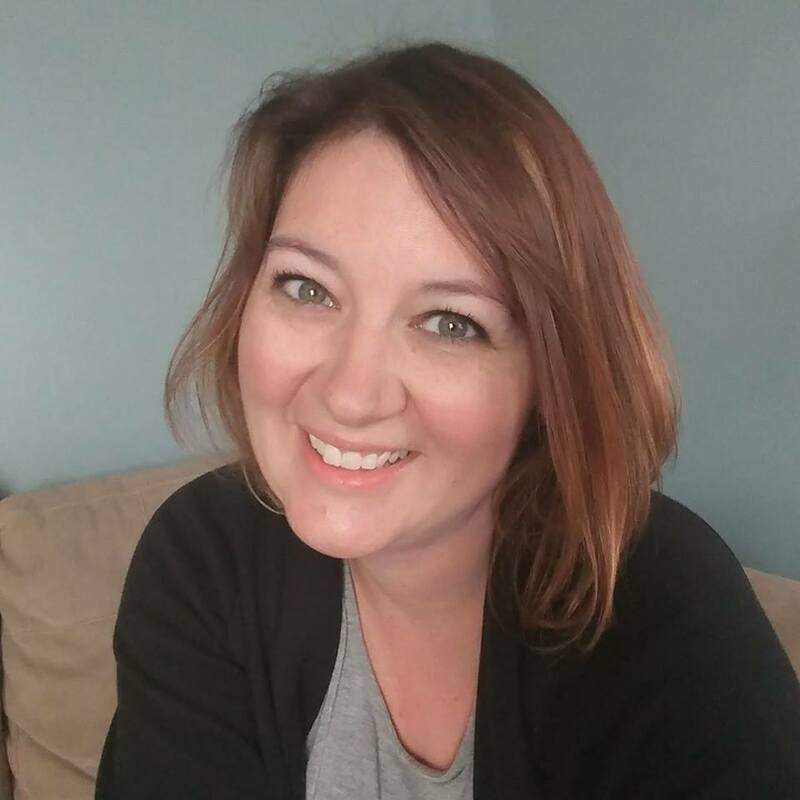 Thanks for linking up to Friday Food Frenzy!